The memo calls for the development of a more “holistic approach” to missile defense “that is more sustainable and cost-effective” and places greater emphasis on deterring and preventing missiles from leaving the ground and other means of defense, such as cyber- and electronic warfare weapons. The memo, titled “Adjusting the Ballistic Missile Defense Strategy,” was first posted on the website of Inside Defense on March 6. In a Feb. 5 letter, obtained by Arms Control Today, Hagel responded to Greenert and Odierno’s memo by saying U.S. missile defense strategy is “sound” but that the Pentagon would undertake a review to “inform force requirements and related issues” for the fiscal year 2017 budget request. “We’re on the wrong side of the cost curve, and we’re on the wrong side of the operational tempo curve” because the Pentagon is not able to meet the demand for missile defense capabilities around the world, Gortney said. Rep. Mike Rogers (R-Ala.), the subcommittee chairman, said at the hearing that he was “deeply troubled” by the Greenert-Odierno memo but that he agreed with Hagel that the current missile defense policy is sound. “Missile defense is a core mission; it is not a ‘nice to have,’ it is a ‘must do,’” he said. Rogers suggested that the caps on military spending imposed by the 2011 Budget Control Act are the biggest threat to the missile defense mission. 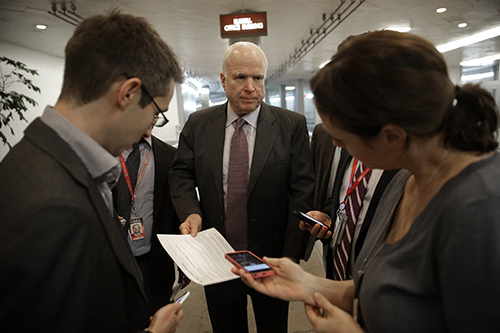 “We must get…budget relief so that this core mission” is “executable,” said Rogers. It is not clear whether the problems with the current strategy identified by the Navy and Army will lead to major changes to missile defense policy. At a March 17 conference in Washington, Deputy Defense Secretary Robert Work announced the creation of an Electronic Warfare Programs Council to direct all Pentagon electronic warfare programs. According to Work, a stronger emphasis on electronic warfare is needed in part to provide additional options to defeat the increasingly sophisticated missile capabilities of U.S. adversaries. The next test of the U.S. Ground-Based Interceptor (GBI) system will occur "very soon," Admiral James Winnefeld, Vice Chairman of the Joint Chiefs of Staff, said May 28. And if that test is a success, he said, the Pentagon plans to add 14 interceptors to the 30 deployed in Alaska and California by 2017, increasing the total by almost 50 percent. This expansion will cost about $1 billion. But the next test, even if it hits, should not be used as justification to expand the system. As Philip Coyle, former director of operational test and evaluation at the Department of Defense, said in February, "Not another dime should be spent on more bad GBIs at Fort Greely [in Alaska] or anywhere else. Instead, a new GBI/EKV must be designed, built, and successfully tested to replace the old design." The Exoatmospheric Kill Vehicle (EKV) is supposed to collide with an enemy warhead in space. But the kill vehicle to be tested this month, called the CE-II, has been tested only twice before, and missed both times. If it hits in June, the test record would be one-for-three. Batting .333 may be great in baseball, but in missile defense it is simply inadequate. That's not all. Last summer the other fielded kill vehicle, the CE-I, also missed its target in a test. This failure came as a surprise, because this interceptor had a better test record. After $40 billion spent and faced with failures of both the CE-I and CE-II, the Pentagon's Missile Defense Agency (MDA) decided to make major changes to the kill vehicle. But these changes will not be ready by 2017, so expansion will go ahead without them. Given the widely accepted need--on both sides of the aisle--to redesign the system, plans to expand it before it is reworked make little sense. It would be like buying a car just after it has been recalled, before the problem is fully corrected. Why the rush? It is easy to say that "we must stay ahead of the threat," and yes, the United States needs to be ready in case North Korea or Iran actually tests and deploys a long-range ballistic missile that could reach North America. But neither nation has done this, and if they do there are already 30 GBI interceptors fielded on the West Coast. Fortunately, these missile programs are not progressing as swiftly as many had feared, and deterrence still plays a role. As Adm. Winnefeld said May 28, neither North Korea nor Iran "yet has a mature [long-range ballistic missile] capability, and both nations know they would face an overwhelming U.S. response to any attack." The Pentagon should prioritize upgrading the kill vehicle, a process that will take a few years, and not expand the system beyond the current 30 GBIs until the new interceptor is proven to work. As a result, the Obama administration should not follow through with plans to deploy 14 additional interceptors in Alaska by 2017, nor should it heed Republican calls to build a new East Coast site. There have been serious concerns about the GBI kill vehicle ever since the system was rushed into service by the Bush administration in 2004. Of primary concern is that the system's test record is getting worse with time, not better. Overall, out of 16 intercept attempts from 1999 to 2013, the system hit 8 times, or 50%. For the first 8 tests, the system had 5 hits, or 62%. But in the last 8 tests, the system has hit only 3 times, or 37%. This is not progress. In January, J. Michael Gilmore, the Pentagon's current director of operational test and evaluation, wrote that recent test failures raise concerns about the system's reliability and suggested that the missile's kill vehicle be redesigned to assure it is "robust against failure." "We recognize the problems we have had with all the currently fielded interceptors," Frank Kendall, the undersecretary of defense for procurement, said in February. "The root cause was a desire to field these things very quickly and really cheaply." "As we go back and understand the failures we're having and why we're having them, we're seeing a lot of bad engineering, frankly, and it is because there was a rush" to deploy the system, Kendall said. "Just patching the things we've got is probably not going to be adequate. So we're going to have to go beyond that." In March, the MDA announced that it would make significant changes to the EKV, and plans to spend $740 million over the next five years to do so. If it works, the new kill vehicle could be fielded around 2020. According to the fiscal 2015 Pentagon budget request, the new kill vehicle "will improve reliability, be more producible and cost-effective, and will eventually replace the [kill vehicles] on the current GBI fleet." Vice Admiral James Syring, director of the MDA, said in March about the decision to rush deployment in 2004: "Everybody knew that [the EKVs] were prototype in nature, and that decision was made to field the prototypes because some defense now is better than defense much later." But we now know how premature, unreliable and expensive "some defense" turned out to be. Ten years later, the North Korean long-range missile threat is still not imminent. The last three intercept tests of the GBI system have failed--two tests in 2010 and one last year. And efforts to correct these problems will cost MDA more than $1.3 billion, according to an April 30 Government Accountability Office report. The next GBI test will not be of a redesigned EKV; that will not occur until 2018 or later. The June test will involve 'patching' the CE-II. Since 10 CE-IIs are already deployed in Alaska, the problems with this EKV need to be addressed. If the next test is successful, the deployed CE-IIs should be modified. But this EKV, according to officials, is inherently flawed and based on a "prototype" design. Why would we want to field additional kill vehicles of a flawed design? We should not. Therefore, if successful, the next test could help 'patch' the CE-IIs that are already in the field, but the numbers should not be increased until an upgraded EKV is ready. It's bad enough that the United States already has 30 interceptors deployed that are unreliable; we should not rush to add more at the cost of $1 billion. If the Pentagon succeeds in developing a new kill vehicle that works reliably in 'cooperative' tests, which are scripted and unrealistic, the system would still need to prove that it could work in an actual attack, in which the enemy would seek to evade the defense. In this case, the ability to differentiate real targets from fake ones is critical because an attacker's warheads would likely come surrounded by debris and decoys. In congressional testimony last year, the Pentagon's Gilmore said, "If we can't discriminate what the real threatening objects are, it doesn't matter how many ground-based interceptors we have; we won't be able to hit what needs to be hit." 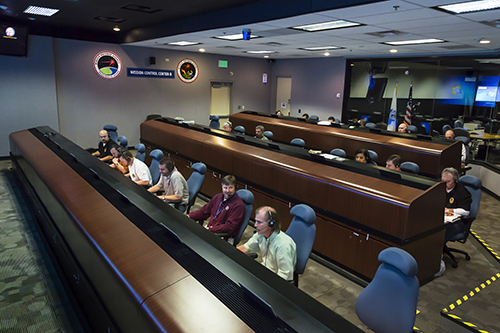 The Missile Defense Agency’s budget focuses on restoring confidence in the Ground-Based Midcourse Defense system while keeping other aspects of U.S. missile defense plans moving forward. The recently unveiled budget for the Defense Department’s Missile Defense Agency (MDA) focuses on restoring confidence in the Ground-Based Midcourse Defense (GMD) system while keeping other aspects of the Obama administration’s ballistic missile defense plans moving forward. The administration’s missile defense budget request for fiscal year 2015 came in at $8.5 billion, including $7.5 billion for the MDA, representing a stable funding level compared to previous years despite cuts in other parts of the defense budget. Congress appropriated $7.6 billion for the MDA for fiscal year 2014. In the March 4 press conference announcing the budget, MDA Director Vice Adm. James Syring said that the MDA will invest approximately $100 million to “initiate the redesign” of the Ground-Based Interceptor (GBI) kill vehicle, the part of the interceptor designed to seek out and destroy an incoming missile with a kinetic impact. A separate line item of around $26 million is devoted to “common kill vehicle technology,” which will be used to “breed the technologies and improvements” for the GBI kill vehicle and potentially other interceptors such as the Standard Missile-3 (SM-3), Syring said. The GMD system has not had a successful intercept test since 2008, and the two currently deployed versions of the GBI kill vehicle, the CE-I and CE-II, have failed to intercept targets in the three tests since then. Frank Kendall, undersecretary of defense for acquisition, technology, and logistics, said in recent remarks that the GBI system suffered from “bad engineering” due to an accelerated deployment schedule. According to Syring, the MDA will resume intercept flight tests of the GMD system later this year. The administration has a special interest in improving the performance of the GMD system after its decision in March of last year to cancel the SM-3 IIB interceptor, which was intended to supplement the GMD system as a means of defending U.S. territory from long-range missiles, and to deploy 14 additional interceptors in Alaska in response to concerns about the threat posed by North Korean missiles. Syring confirmed that the MDA still plans to deploy the additional GBI missiles by 2017. Lewis said, however, that the debate over the GMD system is not just about the ability of the interceptors to function as intended. “The fundamental technical dispute between GMD supporters and critics is whether or not it is even possible to build a system that can deal with possible countermeasures,” such as inflatable decoys that may be difficult to distinguish from nuclear warheads in the vacuum of space, he said. Even with a better kill vehicle and improved capabilities to discriminate between real missiles and countermeasures, “this will almost certainly remain in dispute,” he said. Some lawmakers continue to call for the construction of an additional GMD site on the U.S. East Coast. The MDA is currently conducting an environmental impact study and evaluating a number of locations, but has not decided to move ahead with construction of the site. The MDA is also continuing to invest in the Obama administration’s regional ballistic missile defense systems, especially the European Phased Adaptive Approach. 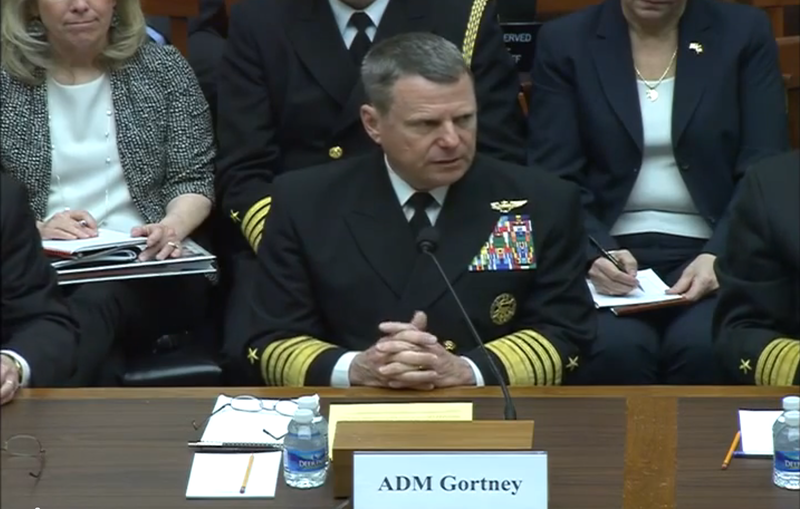 In his March 4 remarks, Syring said the United States still plans to deploy land-based Aegis Ashore sites, which are currently under construction and which the U.S. Navy will operate, in Romania in 2015 and Poland in 2018. The budget request includes more than $700 million for Aegis-related procurement, including additional copies of existing SM-3 interceptor designs IA and IB. It also would provide $263 million specifically for development of the SM-3 IIA version. The fiscal year 2015 budget request includes approximately $96.8 million for cooperative programs with Israel. Last year, the administration requested about the same amount, and Congress appropriated $283.8 million. Much of the spending so far has enabled Israel to buy additional batteries and interceptors for its Iron Dome anti-rocket system, which is not a ballistic missile defense system but is nevertheless funded through the MDA budget. The request designates $175 million for Israel’s procurement for the Iron Dome program, down from $220 million appropriated for fiscal year 2014. The United States is cooperatively developing and producing other systems with Israel, including the Arrow-2, Arrow-3, and David’s Sling interceptors and associated sensors and other assets.